We came, we saw, we conquered. After months of anxious anticipation, Dreamforce ‘16 flew by and, sadly, has now come to a close. Four days packed with breakout sessions, hands-on training, keynote speakers, networking, selfies with Astro, Einstein, and the whole gang, and parties galore. There’s a lot to see and it’s impossible to be in every place at once (maybe by Dreamforce ‘17 we will have a way to pause time), but until then, here’s our rundown of the top 10 highlights from Dreamforce ‘16. Amidst the sea of booths in the Cloud Expo, some of our top customers were featured in the campground. Big-name brands like Aldo, Farmers Insurance, and T-Mobile showed off how their businesses are innovating around the world (with Salesforce’s help, of course!) Attendees could engage in hands-on activities and conversations to learn more about how Salesforce can help them succeed. Trailblazers unite! 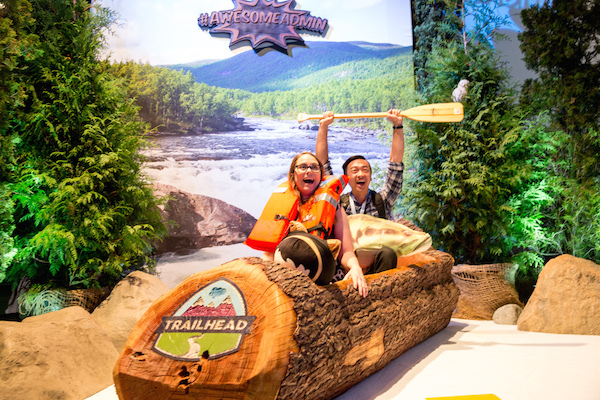 Trailhead, the fun way to learn Salesforce, took over Moscone West with an incredible camping theme. 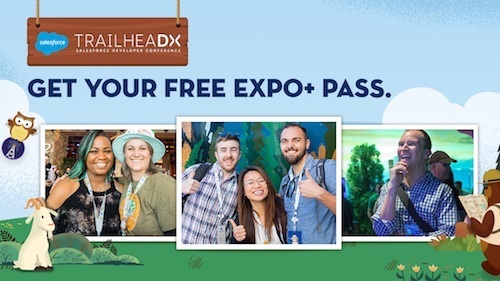 Attendees could complete challenges and earn prizes (like the coveted Trailblazer hoodie or Astro dolls) and along the way connect with other Salesforce administrators and MVPs. Roberts, the co-anchor at ABC’s Good Morning America, and Gates, co-chair and trustee of the Bill & Melinda Gates Foundation, engaged in a timely discussion about the state of women and girls around the world. Topics covered included increasing diversity in tech and the possibilities of AI to boost equality around the world. Energy is in no short supply for businessman, author, and philanthropist Tony Robbins, and he certainly brought that same spark to the Dreamforce keynote stage. Within minutes of taking the stage Robbins had the crowd on its feet, but he also gave tips for achieving your personal edge and took time to discuss a topic near and dear to his heart, eliminating hunger. A beautiful day, indeed! One of the biggest bands on the planet, U2, graced our Dreamfest stage at the “Cloud Palace” with a medley of greatest hits and raising awareness about (RED)’s mission to eliminate new cases of HIV by 2020. Additionally, the concert raised $10 million for UCSF Benioff Children’s Hospitals. In introducing their song, “I Still Haven’t Found What I’m Looking For,” lead singer Bono talked about a question the band often gets asked about why they’re still rocking 40 years later. Two words: Unfinished business. We feel the same way when we come back to Dreamforce year after year! Every year, one of the most-anticipated events at Dreamforce is when Benioff takes the stage to deliver his opening keynote address. This year, Benioff welcomed everyone back to what he called the annual “family reunion” and opened by discussing the company’s core values. 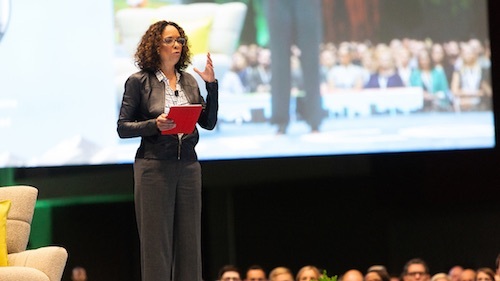 He was joined onstage by Parker Harris for a conversation about the future of CRM powered by AI, and later, Salesforce customers (RED), Schneider Electric, and FitBit were brought onstage to share their Salesforce stories. Read a more thorough analysis of Benioff's keynote here. 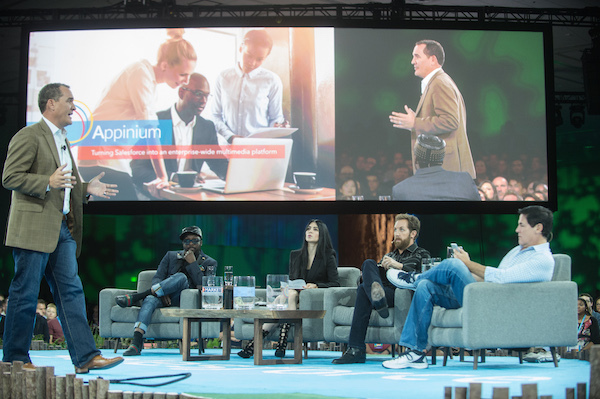 For the first time ever, early-stage startups that build on the Salesforce App Cloud were presented with a chance to pitch their startup on the Dreamforce stage in front of a panel of legendary investors and entrepreneurs. Mark Cuban, Chris Sacca, will.i.am, and Sharzad Rafati heard pitches from three top Salesforce-built startups. Following a spirited conversation amongst the “sharks,” the winner was announced. Claire, a chat-based online product testing startup, nabbed a $150k investment from Salesforce Ventures and a spot in the brand-new Salesforce startup incubator. The spirit of equality was embedded throughout the week, but shone brightest during the marquee keynote event. After an introduction by Salesforce’s new Chief Equality Officer, Tony Prophet, who spoke movingly about being an ally to his LGBTQ son, the panel was underway. Tennis legend Billie Jean King, Congress representative John Lewis, and Kaiser Permanente CEO Bernard J. Tyson engaged in an emotional conversation about equality amongst different races, genders, and sexual orientation. The takeaway: We’ve come a long way from the days of Rep. John Lewis marching towards Selma, but we’ve got a long way to go. 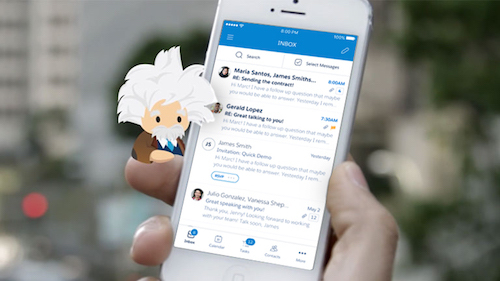 A couple of weeks ago we announced Einstein, an incredible ingredient in the Salesforce platform that makes artificial intelligence accessible to everyone — no data scientist needed. Powered by advanced machine learning, deep learning, predictive analytics, natural language processing and smart data discovery, Einstein’s models will be automatically customized for every single customer, and it will learn, self-tune, and get smarter with every interaction and additional piece of data. Most importantly, Einstein’s intelligence will be embedded within the context of business, automatically discovering relevant insights, predicting future behavior, proactively recommending best next actions and even automating tasks. With Einstein, the world’s #1 CRM is now the world’s smartest CRM and we’re bringing intelligence to all of our clouds. 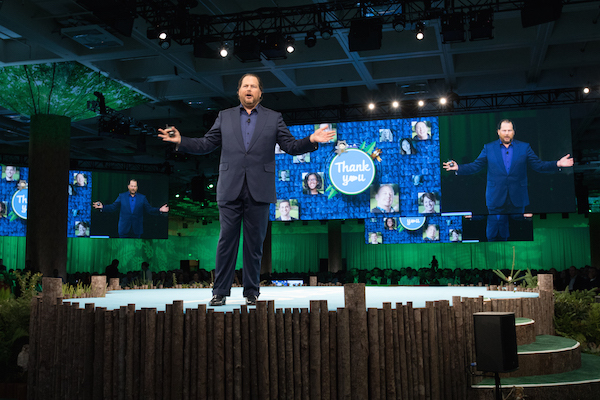 At Dreamforce, Einstein was featured in a big way during Marc Benioff’s opening keynote address, as well as in its own product keynote, and AI for CRM is a huge hit. 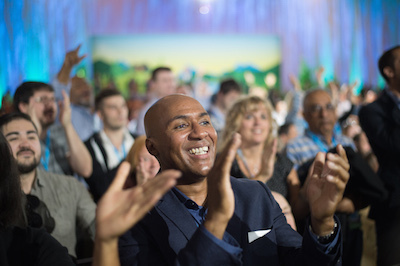 Giving back is always at the heart of what Salesforce does, and Dreamforce is no different. Today, thanks to life-saving HIV/AIDS medication — which costs as little as 30¢ in sub-Saharan Africa — pregnant women living with HIV can lead healthy lives and deliver HIV–free babies. 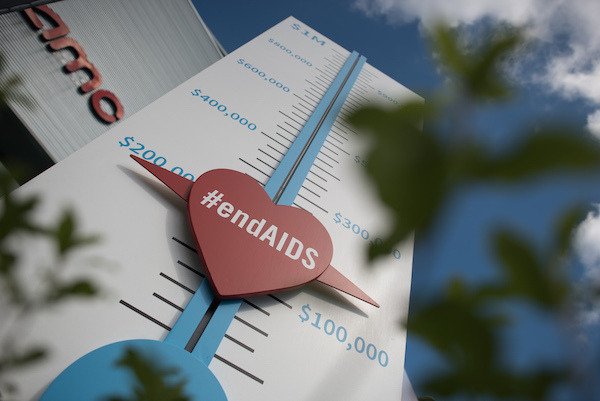 Before the conference started we set a big goal to raise $1 million for (RED) and throughout the week attendees donated to work towards the first AIDS-free generation. 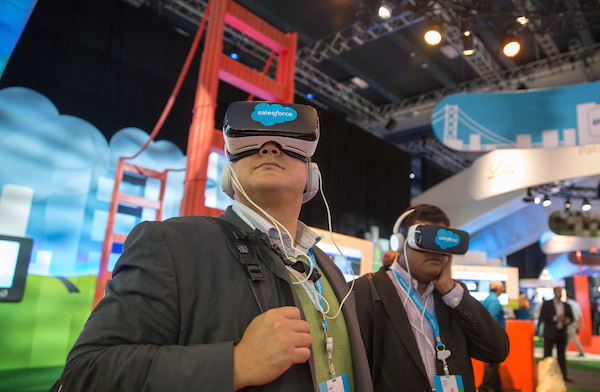 And that’s a wrap for Dreamforce ‘16 – see you next year!